Classical theoretical approaches of second language learning agree that motivation lays at the foundation of the learning process. This is quite evident with the theories of Bandura, Vygotsky, and Krashen. These theorists argue that a variety of teaching approaches, and not just one, should be put together to achieve effective instruction. In all, the four tenets that stand out the most are: a) tasks should be developmentally appropriate, b) the learning traits of students should be individually addressed or recognized, c) the student should be at the center and focal point of the instruction and, d) the classroom should foster safety, support and security in order for learning to take place. All of these assumptions are some of the building blocks of motivation: the driving force that elicits a change in behavior. The behaviors that L2 teachers wish to accomplish are code switching, language acquisition, and comprehension of the target language. Hence, only through relevance and considering the particular student traits will teachers ever be able to instill in their students the motivation that they need. In his Social Learning theory, Bandura (1977) argues that there are four phases of language acquisition. The first is attention, which is to focus on something through observation. The second phase is retention, which is keeping data in the short term memory. With enough repetition and exposure, this data will be committed to long term memory. Reproduction, the third state, is the application of the information acquired through repetition, or free speech. 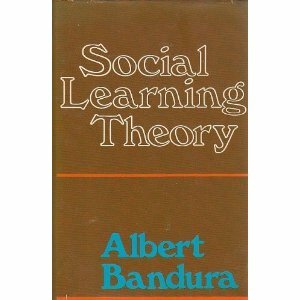 Yet, the final step in Bandura’s process is motivation: the required amount of energy that the learner will voluntarily invest to bring himself into the learning process (Bandura, 1977 p. 43). The implication is that without the proper activities and without the relevance and context of an activity language acquisition opportunities will be missed and the new information will be forgotten. 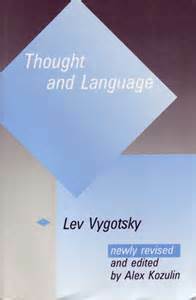 Similarly, Vygotsky solidified the view of learning as a process of scaffolding, or building upon prior knowledge. This also entails motivation. It means that scaffolding needs to secure biological reactions so that individuals can organize their thought processes correctly. Only by having appropriate factors in place will learning occur (Vygotsky, 1978 p. 64). While Bandura says motivation is needed as a phase for learning, Vygotsky supports the same assumption, adding the need for developmentally appropriate activities and learning environments in which individuals would help each other reach higher goals. This is done through cooperative learning, and having peers who know more, the More Knowledgeable Others “MKO”, pushing each other to move to the next, higher skill. Vygotsky’s Zones of Proximal Development (ZPDs) and his hypothesis of Scaffolding are behind this type of motivational learning. (Vygotsky, 1978) Concisely, the motivation that Vygotsky advocates for includes both cognitive and behavioral elements that are equally important for learning. The implications of Vygotsky’s theories in education tell that the learning process is an active, and not a passive one. Therefore, the teachers must touch on every sense to inspire the student to push harder to the next zone of development. In L2, this is done through activities that compel students to communicate verbally and in written forms, through art, through music, and through literature. Arguably Krashen’s theory of language acquisition also shows elements of Social Learning. 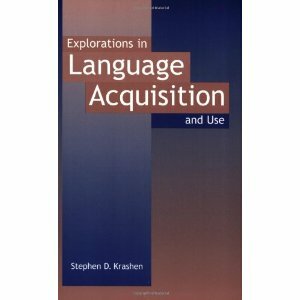 According to Krashen, his theory proposes that there is a “natural language” that we all possess within but that needs to come out through input. It is input and output what elicits the communication process to occur. The agent that makes it take place, is also motivation, whether negative or positive. This is when his “affective filter” hypothesis comes into play: in theory, whenever our emotions are high, our affective filter “fills up” and we can no longer acquire new information due to blockage. The opposite would be to provide an environment of safety and acceptance, which lowers such affective filter, making the student more open to learn. Motivation would play a role in the process of decluttering the affective filter: with activities that are exciting, relevant, and in context with what the student already knows, L2 would become a more attainable process. The most accepted and universally embraced theories of learning, particularly those of Bandura, Vygotsky, and Krashen, all point out in one way or another that motivation is the underlying factor that enables the learning process, and allows for information to end up committed to long term memory. Motivation is achieved through relevant academic activities, through challenging and engaging tasks, and through the provision of a safe and tolerant environment where all students feel as part of one big learning family. behavior research and therapy (Vol. 1., pp. 237-269). Oxford: Pergamon.